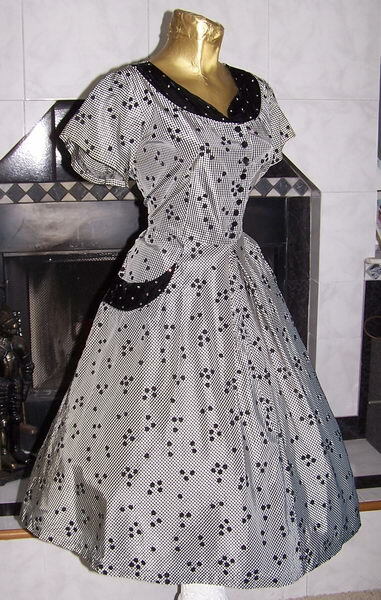 The only other one I found online is at SoVintage Patterns … and it's $35.00. 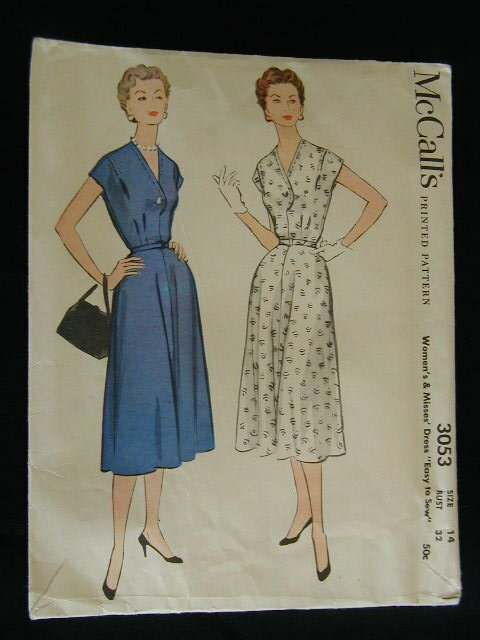 I would love to go find Renee's grandmother and tell her that this Saturday knock-around dress pattern now goes for $35. Worth every penny, really, but still! 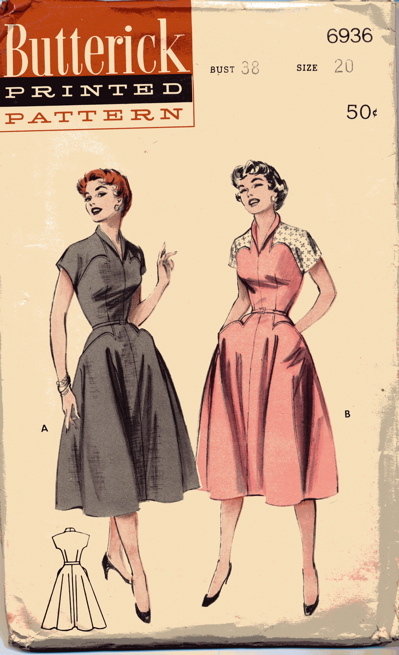 The nice thing about this version (compared with the the other wrap-around dress, Butterick 4790) is that this one shouldn't have the skirt-riding-up problem that was reported. Oh, and it has POCKETS! Triangular ones! 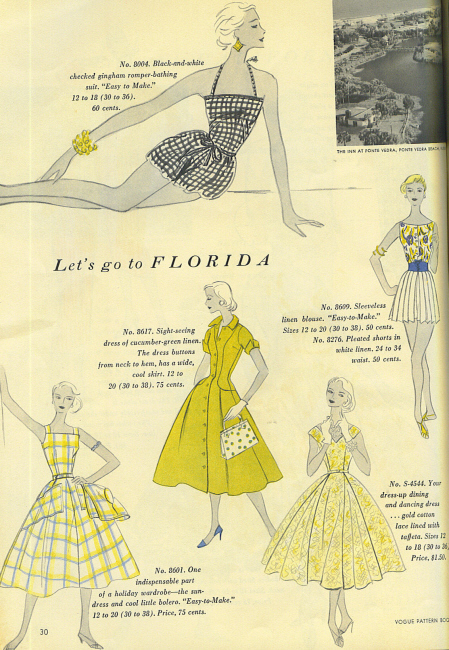 Peggy very nicely sent me the link to this eBay auction, which is for the June-July 1955 issue of Vogue Pattern Book. This dress is from seller Tori at Flashbak58 Bombshell Frocks, and it's a nice larger size … B42,W34! Holly tipped me off that a bunch of eBay sellers are doing a special promo on the maxi-dress through August 8. The dress above is part of the promotion, and you can find other dresses by searching for the label TVMF ("The Vintage Maxi Factor"). 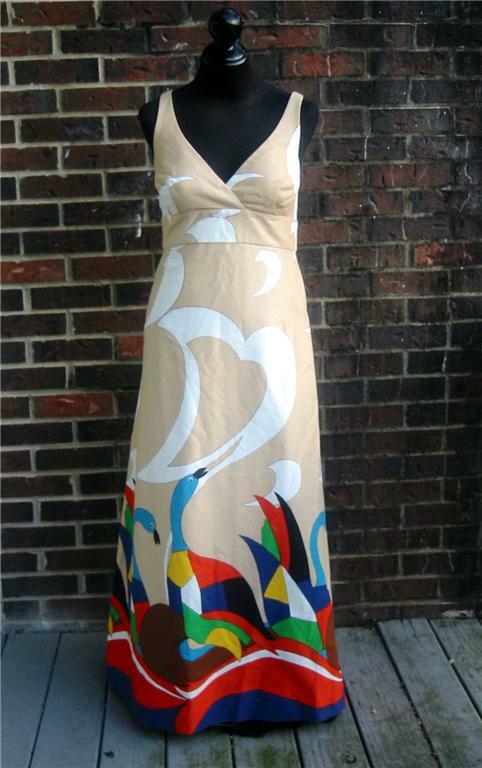 This gorgeous maxi is from the eBay seller nomusicnolife and is B38 … and in great condition! If you are looking for the perfect fancy beach party/casual outdoor wedding-guest dress for this summer, I think this is it. 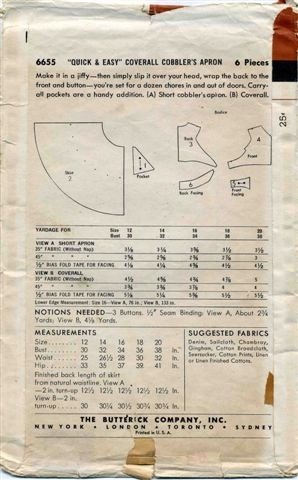 Remember the busy-day dress with the fancy pockets, the one I wrote about here? Well, I knew I'd written about it before, and there's the image up above (actual previous post is here). 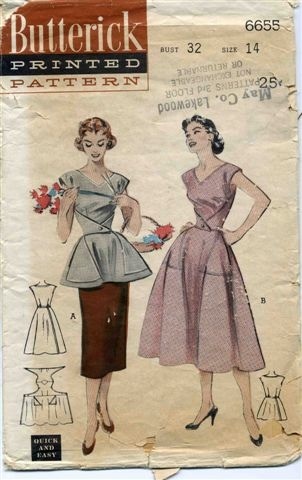 The bodice on the busy-day dress is different, as I mashed up one from another pattern … this one.